SALT LAKE CITY - Utah Gov. Gary Herbert joined officials across the nation speaking out against reported post-election harassment and bullying in schools. The statement advises parents and school employees to take reports of harassment seriously and to be vigilant in reporting instances of harassment. Utah officials join others nationwide in responding to reports of harassment and bullying in schools, especially of minorities and LGBT students, in the wake of Donald Trump’s presidential election win following a divisive campaign. What began as a series of concerns around reports of harassment in colleges has now spread all the way down America’s educational systems. There have also been reports of the bullying and harassment of minorities after Trump’s victory in society at large, especially of Muslims. In a New York Times Op-Ed on Sunday, Bernie Sanders, the loser of the Democratic presidential primary to Hillary Clinton, said he too has heard of similar reports. Ryan was asked about reports or racist graffiti and hate crimes after Tuesday’s presidential election. Utah Board of Education spokeswoman Emilie Wheeler said it is unclear how many incidents have occurred, but she says it’s enough for administrators to respond on social media and school websites. CBS Salt Lake City affiliate KUTV reports the harassment has been reported on college campuses as well. It said those fighting for racial equality should “shut the f*** up” about Muslim rights and gay rights. The Nashville, Tenn., school district said it is providing its counselors with “special post-election protocols” to help students in the aftermath of the presidential election. The Tennessean reports that one third-grader sought counseling after a fellow student told him he wouldn’t be able to see one of his two mothers now that Republican Donald Trump has been elected. Julie Norrell said she found out her son had been bullied at Ruby Major Elementary School through a message from his teacher. PBS reports middle school students in Michigan were heard shouting “build that wall!” during their lunch period. Civility in politics has been declining for years, both a cause and symptom of a changing culture where anonymous verbal assaults are fired freely across the internet, and cable TV routinely broadcasts words once banned from the airwaves. But Donald Trump’s presidential run took name-calling and mockery - things that voters long said they detested in their candidates - and normalized them into a winning political strategy. Now Trump, the president-elect, is calling for unity in words that draw attention precisely because they sound so unlike Trump, the candidate. 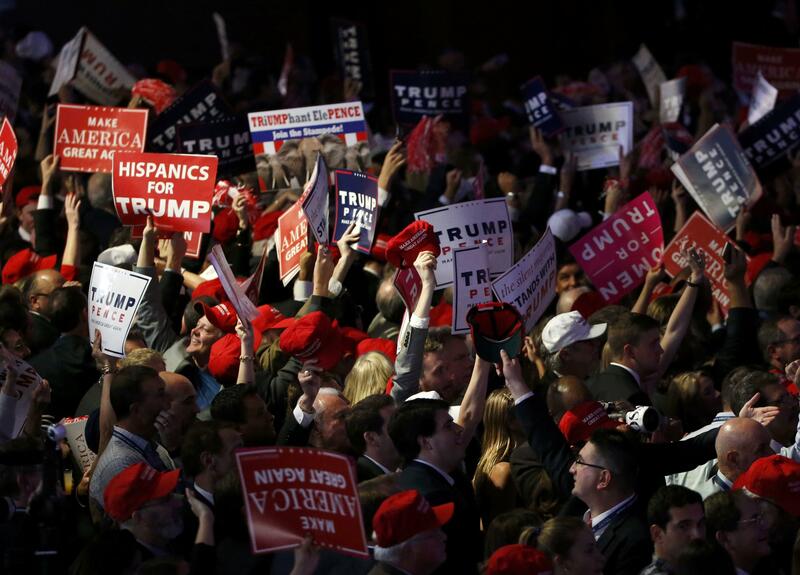 But many question whether it is possible to reverse the campaign’s damage to political discourse and its ripples out to the way Americans speak to and about each other. “There’s plenty of blame to go around on this subject, but I think in this particular election that an embrace of Donald Trump was an embrace of incivility and vulgarity and insults and bullying, and unfortunately we saw very little public repudiation of that from any Trump supporters,” said Mark DeMoss, an Atlanta public relations executive and conservative Republican whose clients are mostly Christian religious organizations. DeMoss, who abandoned a campaign called the Civility Project in early 2011 after only three members of Congress would sign a pledge to act respectfully, watched the degradation of political speech for years. Then Trump’s campaign, he and other longtime observers say, stomped well past what was thought to be acceptable. “What worries me the most is we’re becoming almost numb,” Mullen said. When Allegheny - which first polled Americans about political civility in 2010 - did so again in October, researchers noted a “disturbing” decline in those rejecting insults in politics. The number who disapprove of political comments about someone’s race or ethnicity declined from 89 percent to 69 percent. The number who said it was unacceptable to shout over a debate opponent fell from 86 percent to 65 percent. Many observers blame Trump, who called Mexican immigrants “rapists,” tarred his adversaries as “Lyin’ Ted” and “Crooked Hillary” and complained that a TV journalist’s dogged questioning was just a sign she had “blood coming out of her wherever.” He said all of those things, not on long-forgotten tapes, but in front of millions of voters. Nearly 2,000 teachers surveyed by the Southern Poverty Law Center this spring reported that the campaign’s scorching words were having a “profoundly negative impact” on their students. More than half said they had seen an increase in bullying, harassment and intimidation of students whose race, religion or nationality had been targeted by political rhetoric. The survey did not identify any candidates. But teachers singled out Trump in more than 1,000 comments, while fewer than 200 combined named Clinton, Texas Sen. Ted Cruz, or Vermont Sen. Bernie Sanders. In recent years, teachers mindful of bullying and taunts on social media have worked to make schools places of mutual respect, said Maureen Costello, director of the SPLC’s Teaching Tolerance project. When Beth Ferris, a middle school teacher in Yucca Valley, California, told students on Election Day that history would be made one way or the other, one of her students said, “Yeah, she (Clinton) should be in jail!” At a nearby high school, vandals painted “Trump 2016,” on a wall and covered the word “Girls” on a bathroom door with a vulgarity. “I think it’s going to get worse before it gets better,” Ferris said. On the day after the election, teacher Dee Burek said fifth and sixth graders in her Allentown, New Jersey, middle school asked how Trump had become the Republican nominee. She recalled his insults of opponents in debates and how they stuck.